In October 2011, California Governor Jerry Brown stated that the 16th, the day Stanford University held a memorial service for Steve Jobs, would be a memorial day for him every year. It was so sad to say goodbye to a huge man like Steve Jobs, the founder of Apple, who brought such dramatic innovations to our world: iPhone, iPod, iPad, Mac, MacBook and more. Could you imagine how our lives would look without all this? 1. He was adopted: Jobs was born on 24 February 1955 in San Francisco. His biological parents were Joan Carroll Scheib and Abdul Fatah Jendali, an immigrant from Syria. Both were 23 and unmarried and wanted to continue their studies at the university. They gave Steve the adoption of Paul and Clara Gubs, a couple who could not bring children to the world that raised him magnificently. 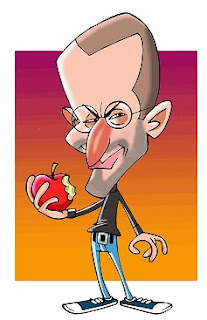 Paul Jobs was a mechanic who dropped out of school and Clara Jobs was an accountant. 2. He was determined and obstinate from an early age: Jobs was a very mischievous boy (he remembers from childhood how to put bombs and drop snakes in third grade). Only in the middle of the middle school did he relax a bit. When he was 11, he refused to go to his school, The Mountain View, claiming it was too wild for him. His parents had no choice but to move to a school. 3. He has a biological sister whom he tracked down only in adulthood: Ten months after giving their son for adoption, Joan and Abdul Fatah married. They had a daughter named Mona and after five years they divorced. 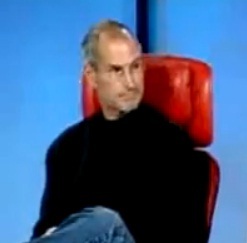 The biological mother of Jobs remarried and raised the daughter with her new husband. Her sister is Mona Simpson, a writer who wrote a bestseller called Anywhere But Here (she dedicated it to her brother Steve). Mona and Steve did not meet until Steve was 27, but after they met they became very good friends. 4. He has a daughter who at first did not recognize her: In 1978, when Apple released her first computer Lisa, a baby girl was born to his ex girlfriend, Chris-Ann Brennan. The baby was also named Lisa. Jobs insisted that the name Lisa was given to the computer because it was "Local Integrated Software Architecture" and denied being Lisa's father. When Jobs' career took off, Chris-Ann and her baby daughter lived from hand to mouth. Finally he admitted his paternity and took Lisa to live with him when she was in her teens. He sent her to Harvard University where she graduated in 2000. Lisa Brennan-Jobs is now a successful reporter for Vogue magazine and O, the Oprah Winfrey magazine. 5. Steve's wife, Lorraine Powell Jobs is something special: Jobs met his wife at Stanford University, where he lectured a class. They married in a Buddhist Zen ceremony at Yosemite National Park in 1991 and had three children: a son and two daughters. Like Steve, Lorraine is also a vegetarian. Lorraine is a graduate of the University of Pennsylvania with an MBA in Finance from Stanford University. She sits in many directors, in the arts, in women's rights, and in educational organizations.